Today’s low energy prices are a major boon for higher ed facilities, which need to seize every opportunity for reducing operations costs. However, these lower prices are actually getting in the way of greater cost improvements. Because energy has become so cheap, more higher ed stakeholders are hesitant about paying for sustainability upgrades. They’re skeptical that the savings will justify the investment. Of course, facility leaders know that greater sustainability is always a worthwhile goal, both in terms of economics and environmental responsibility. So what can be done to convince the decision makers? 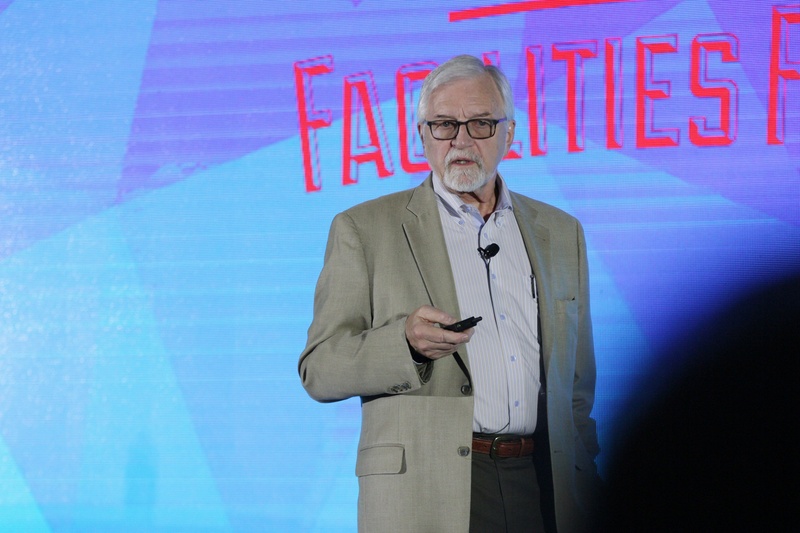 In an Innovation Talk given at HEFF 2018, Wendell Brase, Associate Chancellor for Sustainability at UC Irvine, shared his top strategies to get funding for higher ed energy efficiency projects. Given that UCI has more LEED Platinum and Gold buildings than any other college campus in the U.S., it’s safe to say that these techniques achieve results. Pushing for whole-building retrofits allows for greater accomplishments, as opposed to a segmented approach to energy upgrades. This means designing a building’s features to work together to reduce energy needs. At UC Irvine, all of the campus laboratories were given this type of comprehensive overhaul. Labs may comprise only 20% of UCI’s building space, but they are responsible for up to two-thirds of the campus’ energy consumption. As such, optimizing the efficiency of each lab would have a major impact on lowering the campus’ energy bill. Brase reported that the UCI retrofit projects resulted in an overall energy reduction of 61%. To demonstrate this point, Brase showed the audience detailed worksheets that specified the estimated worth of potential benefits of a project. These advantages include addressing deferred maintenance, avoiding re-commissioning expenses, reducing utility costs, and extending the service life of equipment. Less concrete items included improving safety, infection control, and research infrastructure. By assigning dollar values to these benefits, it’s possible to develop a clear breakdown of a project’s total savings potential, and illustrate the cost benefits in a variety of ways. Expanding this cost model to estimate benefits over the building’s entire life cycle further strengthens the case for investment. Stakeholders are always more open to projects if they provide a chance to eliminate additional problems. Deferred maintenance is one issue that energy-focused renovations have the power to resolve. Brase gave the example of an old UCI campus building that had good bones, but suffered from serious deterioration. There was extensive damage found throughout the ventilation systems, and a long-expired roof had caused water intrusion in the building’s labs, offices, and classrooms. Proposing a sustainability overhaul of this building allowed UCI to address the deferred maintenance while enjoying major energy savings. Brase talked about how UCI is upgrading the lighting in many of its facilities, despite the fact that there was a previous retrofit which had already lowered the energy consumption of campus lighting. What made the new upgrade worthwhile? By providing high-CRI lighting in clinical and diagnostic areas, UCI could massively improve the success of its staff and students. The campus medical facilities were arguably most empowered, as high quality lighting is necessary to make critical diagnoses and evaluate patient conditions. This was a great example of how Brase capitalized on a project that didn’t initially have much financial appeal. If an upgrade doesn’t seem enticing from an energy-savings standpoint, facilities leaders can highlight other benefits it provides to those on campus, and leverage said interest. Brase addressed a number of other topics as he wrapped up his talk, including the idea of “growing into” new infrastructure and his biggest mistakes to avoid. To learn more about his facilities strategies, you can watch his presentation here.